Krispy Kreme may be an older brand, but their marketing appeal is fresh and innovative. I have a lot of respect for brands that have been around long before I was born, and they’re still a household name today. As a marketer, I’ve observed brands that manage to rise above the rest during times of adversity. Krispy Kreme is one of those brands. They spend next to nothing on traditional media like TV and billboards and in an age where we’re barraged with health fads and diet products, the 78 year old company is still growing and on pace to generate a half a billion dollars in annual sales. Now that’s pretty sweet. A brand that creates joy and drives an emotional experience? Sounds like a happy place where you’ll find rainbows and unicorns, but appealing to buyers’ emotions is something Krispy Kreme has done for decades. Let’s dive into a recent example of how this donut shop spreads happiness among their customers. The buzz of Speak Like a Pirate Day began spreading several days before the big event. 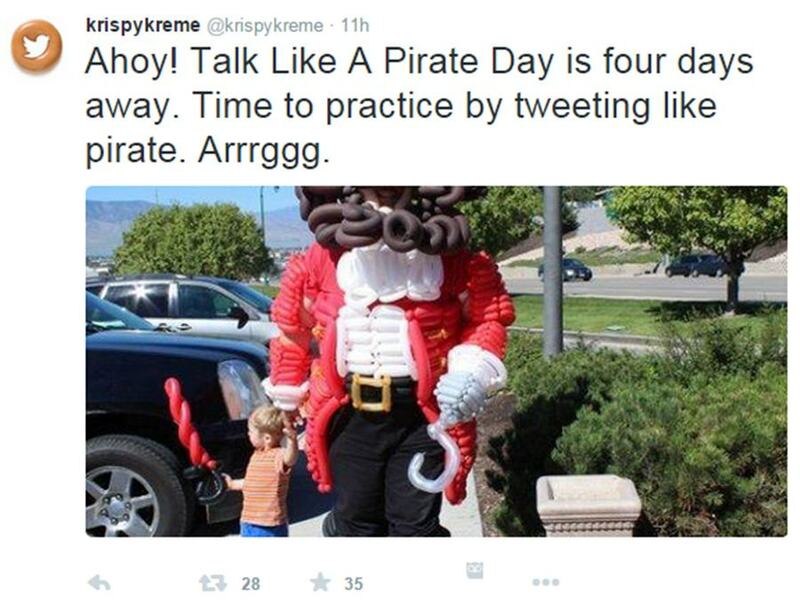 Now in its fourth year, Krispy Kreme is celebrating Talk Like a Pirate Day on September 19. To honor this whimsical holiday and its fans, Krispy Kreme is giving away a fresh, hot-of-the-press donut to every customer who sounds like a pirate when they order. And for those who like to go all out and dress the part, sporting full pirate garb will land you a dozen fresh donuts. Arrr matey, now that tis a grrreeat bounty worth yer weight in gold. I tip my pirate hat off to Krispy Kreme’s marketing team. They took a bowl of creativity, added in some PR, a cup of social media, sprinkled with some fun content marketing, mixed it all together, and made it their secret recipe for success. How sweet is that? Last year, Krispy Kreme posted several videos on how to dress, act, and talk like a pirate. At the time of this writing, these videos have garnered over 75,000 views, and as Talk Like a Pirate Day approaches, the viewership continues to rise. 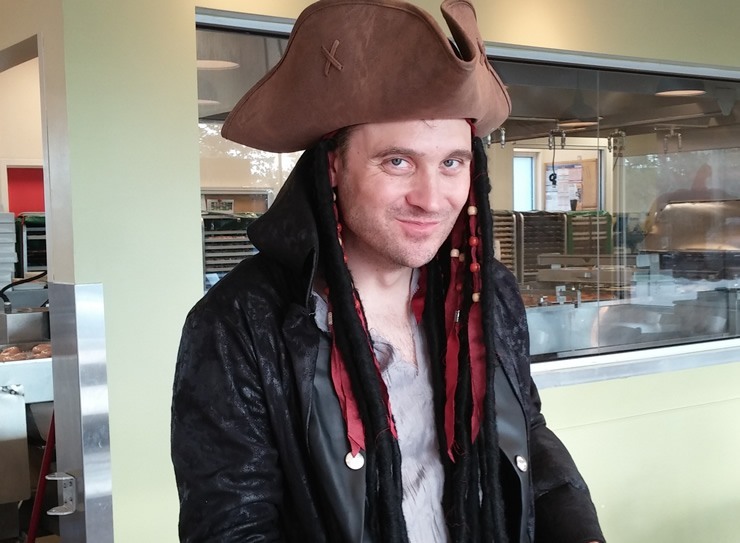 My colleagues and I got the chance to experience Talk Like a Pirate Day at Krispy Kreme firsthand. Being the overachievers we are, we couldn’t settle for just one donut. So my business partner and I blew the dust off our Halloween costumes, donned on our best Jack Sparrow outfit, and headed to our local Krispy Kreme. In my hometown of Grapevine, Texas, I observed nearly a dozen other pirates with their mini-me buccaneers in tow (one guy even had a real live parrot on his shoulder!) as they took full advantage of Krispy Kreme’s promotional offer. I remember the smiles on the customers’ faces (young and old). The atmosphere was both playful and fun where I felt like a kid-in-the-candy donut store. Yours truly taking full advantage of the free box of donuts on Speak Like a Pirate Day. I recalled the guys behind the counter were happy to assist with the never-ending orders while keeping a positive attitude the whole time which I found a bit surprising knowing it was probably the busiest day they’ve had all year. This joyful experience that Mr. Chambers talked about was no accident. It starts at the top. 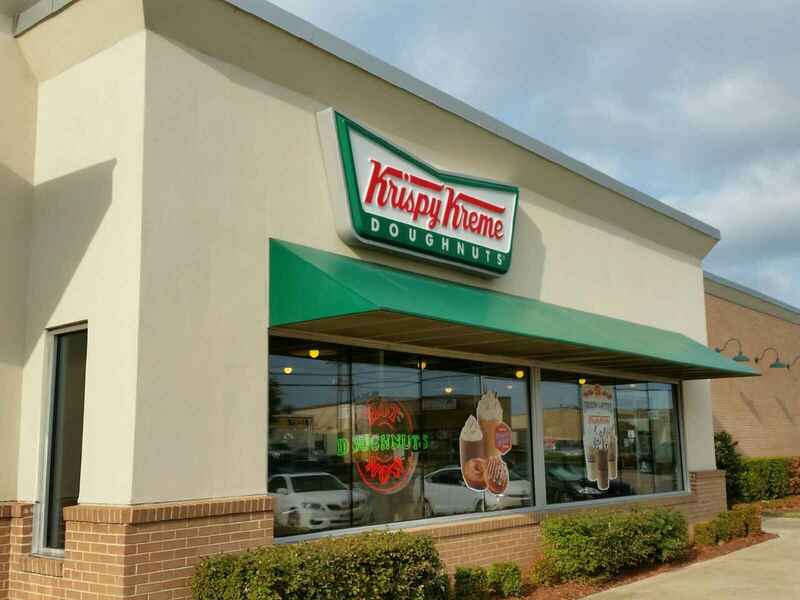 Krispy Kreme’s upper management ensures their marketing efforts are connecting with their customers but not in a traditional or boring way. They think outside of the donut box to foster something special. And it doesn’t stop with the marketing department. It was apparent to me how their management went out of their way to make sure each store is properly trained to welcome customers in a hospitable fashion. Even during peak demand, they still manage to deliver service with a smile. Not sure which part the kids loved more: dressing up like a pirate or a free box of donuts. … or am I really a pirate with a knack for awesome marketing campaigns? 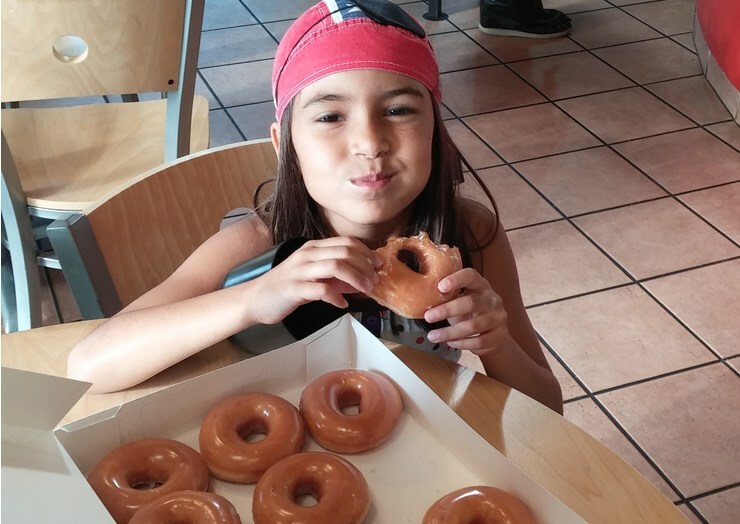 Krispy Kreme has found a fun and enjoyable way to connect with generations both young and old, and because of their ingenuity, playful nature, and friendly service, they have made me (and my kids and colleagues) fans for life.